What is a Hawaii Rental Application? Hawaii Rental Application: What Is It? 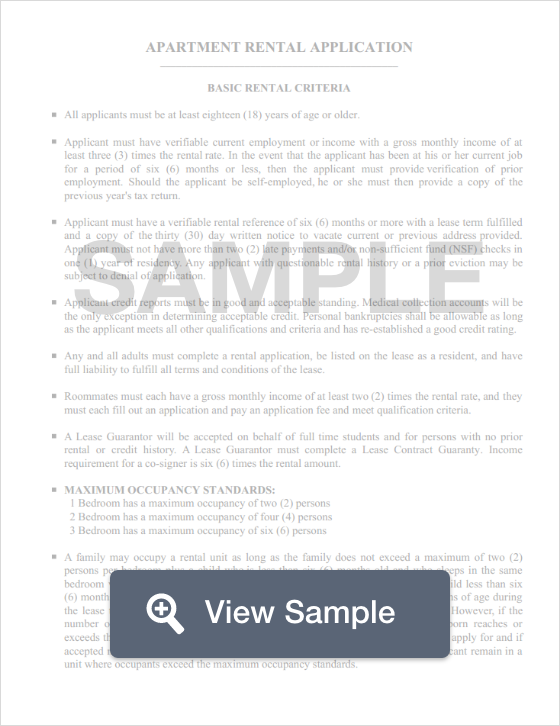 In Hawaii, a rental application is used to collect information from individuals who are interested in applying for an apartment or property rental. A landlord will use the same form to collect information from all applicants and use the information submitted to determine the best candidate for the rental. For those who are unfamiliar with rental applications, they tend to ask personal questions, such as income, previous addresses, and whether or not you've had any prior evictions or bankruptcies. In addition, the processing of a rental application generally includes a fee. A rental application fee averages $25 to $75. In Hawaii, a security deposit may not be more than one month’s rent, and a landlord may not require a tenant to pay more than the security deposit and the first month’s rent. In addition, the security deposit is to be returned to the tenant no later than fourteen days after the lease has ended (Haw. Rev. Stat. § 521-44).